1. Have you evaluated someone at work/school? 2. Have you been evaluated at work/school? 3. 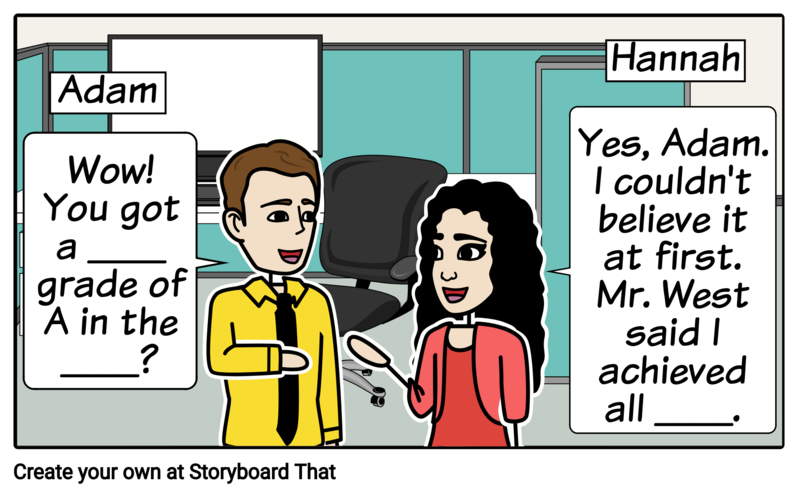 Do you feel nervous whenever you’re being evaluated? 4. Why are evaluations important? Let’s read the dialogue. I will be Mr. West and you will be Hannah. After reading it once, we’ll switch roles. 1. 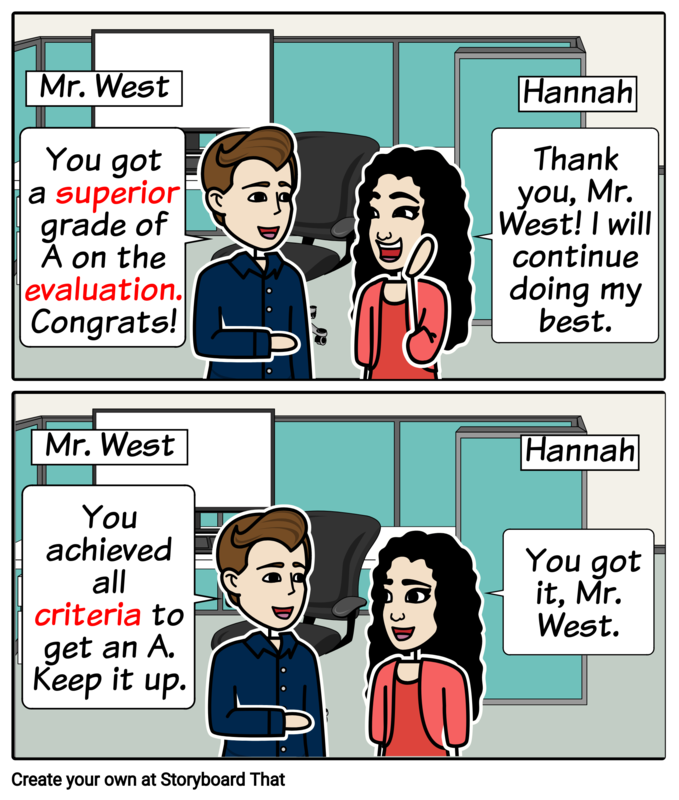 What grade did Hannah get on the evaluation? 2. Who gave Hannah her evaluation grade? 3. How did Hannah get the grade she deserves?